Let the map of our Soul unfold infront of you! Sometimes we don´t really know where to go in life, which direction to go, which descicion to take or we even feel lost in all this excessive demands on us. This is the time where we can ask our soul for an answer. Because we have the answers in our inside. Our soul talks to us through images and symbols. But unfortunately it can be that we forget to listen to our soul´s message or we don´t have the time or even we feel that we just missed an important message from the universe. The Mastana Reading helps you to answer profound life questions. It can even shift things on an energetic level and helps you to align to what you really seek for. Become the sacred witness of your own soul map unfolding in front of you. I am happy to guide you to understand your unique soul´s journey! ***Annette Assmy is a filmmaker, a creative soul, a Mistress of Ceremonies and she is walking the path of an earth keeper. For her it is a heart wish to bring the soul nourishing Inca wisdom to the western world. 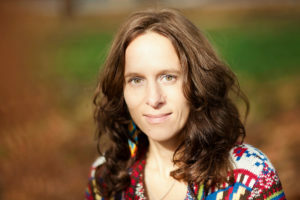 She learned from The Four Winds Society, by Dr. Alberto Villoldo (http://thefourwinds.com/) and she is certified in Luminous Healing and Energy Medicine. Since November 2014 she is learning directly from the peruvian shamans, so called Paqos at the Serena Anchanchu School in Holland (http://www.incashamanism.com/). She is initiated by them as a Pampa Mesayok; Keeper of the earth. She is also initiated by Don Oscar Miro-Quesada in the Pachacuti Mesa Tradition. Since 2012 she is giving Energy Healing Sessions and making group seminars (The Rite of the Womb and Munay-Ki etc. ).